As I just finished writing a presentation for PaTTAN that has a ton of EBP references, I wanted to give a round-up of some of my favorite sources of information. We live in a time of great access to research digitally, and it's important for us to keep in the loop! First I want to give a shout out to The Informed SLP. I subscribed earlier this year and find it a terrific resource. Each month, Informed SLP produces a friendly and accessibly written digest of clinically relevant research, with a variety of reasonably priced membership options. They also have a free area with great information. Follow them on Facebook or other socmed channels for informative blurbs too. I appreciate Informed SLPs recent messaging about the importance of the other two sides of evidence-based practice: clinical expertise and client values. I'm not ashamed to admit how much I nerdily visit ASHAwire. This is the launch page for all the ASHA publications. Its search algorithms can be a little hinky but it is always a good place to start, or just to skim recent issues of journals such as Language, Speech and Hearing Services in Schools. I also find a lot of value from the ASHA's Perspectives journal, which has practical clinical information throughout the year. Join one Special Interest Group ($40) and you have access to all the publications from all the interest groups. Click PDF on any article now and the website loads up ReadCube (you'll need to click add to library and open a free account), which allows you to save articles to your library and annotate them as well! By the way, the above newly-published article, as a complete Teresa Ukrainetz fan (Ukrainiac? ), made me more gleeful than attending Taylor Swift's Reputation Stadium Tour this summer. Which I did. I'm 45. It was my birthday present. I have found ASHA's Evidence Maps website very useful. This is organized by disorder/intervention area and emphasizes higher levels of evidence such as meta-analyses and systematic reviews. Finally, I'd encourage all of you who supervise graduate students to use or advocate for access to their university libraries online. Boston University provides this benefit to supervisors, among other schools. It is cost-prohibitive for any clinician to subscribe to other journals besides ASHA's, and it behooves any university to help keep its supervisors informed so that their students receive the best experience possible in their clinical placements. Hope to see some of you this week, as I have two presentations scheduled for ASHA Convention 2018 in Boston! My first one I am going to try to deliver start to finish in my best Boston accent! Here are some details on them below. Also see my convention tech preview published on the ASHA Blog. The Five Point Scale is one of my favorite tools. It is versatile to talk about many different kinds of social observations, norms, problems and nuances; it is also narrative in form and sparks discussion about perspective taking. So I made you a lesson! 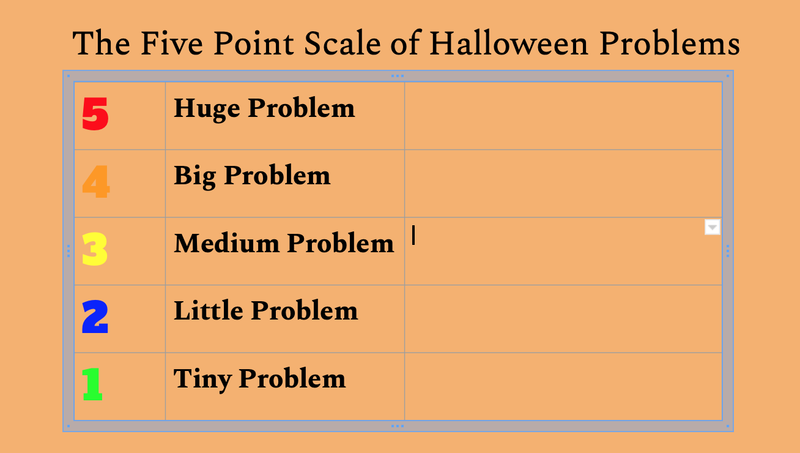 Use this Google Slides, uh, slide as a template to have kids generate examples of problems that occur on Halloween. 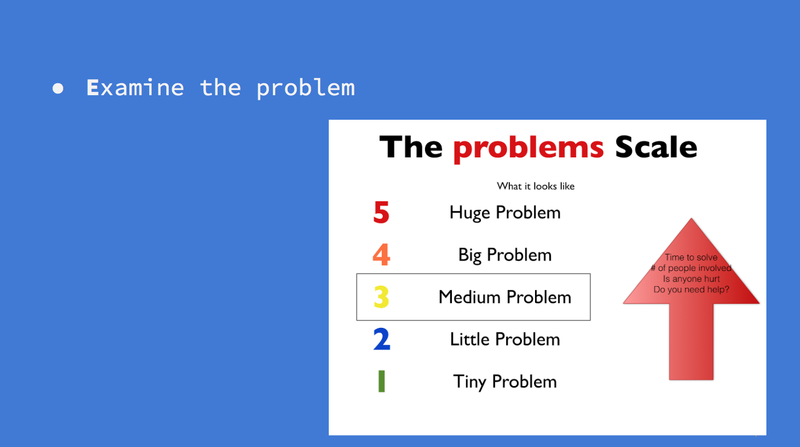 I like the framework contained in both this TpT packet by Speechie Musings and Social Thinking's® Size of the Problem book: problems become bigger with 1) time needed to solve 2) needing help 3) someone being physically or emotionally hurt and 4) affecting other people. So, a 3 might ruin your day (time) and cause light physical or bigger emotional hurt, and you may need to talk to someone about it. 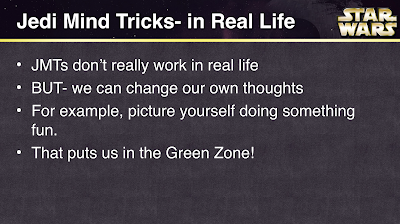 You can use humor and lightness/darkness appropriate to your group in developing examples, so, a 5 for your HSers might be "your friend becomes a zombie" where with 2nd graders maybe "a ghost decides to live in your house." To use this template, please do not request access. That results in my getting emails...thanks. Open a browser and sign into your Google account. Go to this link. From the file menu, choose Make a copy. Then it is yours. Consider duplicating the slide or the file itself to use for many groups. Also, Tools>Explore will let you search for images to add extra visual support (e.g. "throwing up," a 3). This activity is great for pairing with a book about Halloween. Explain Everything has historically been a great "whiteboard"/"explanimation" app allowing us to create a series of slides so to speak, with recording capabilities making animations as we draw, move images and drawings around, and speak to record narration. However, I have found their rollouts and pricing very confusing; they have had a number of versions of their iPad app and it is currently $14.99, which I believe is overpriced for education markets (I'd accept $9.99 for an app this powerful). In any case, particularly in our school environments where Chromebooks are often available, you'll want to take a look at least at their free account now available through the Google Chrome browser. You can log in with a Google account and make 3 projects (delete-able and downloadable). Explain Everything is unique in allowing you to make stick figures and animate them- think a teched-up version of Comic Strip Conversations or Stickwriting (for social cognitive or narrative representation, respectively). One trick you need to know is to make drawings move independently, as shown below, go to the [i] inspector icon and select the items, then Ungroup. 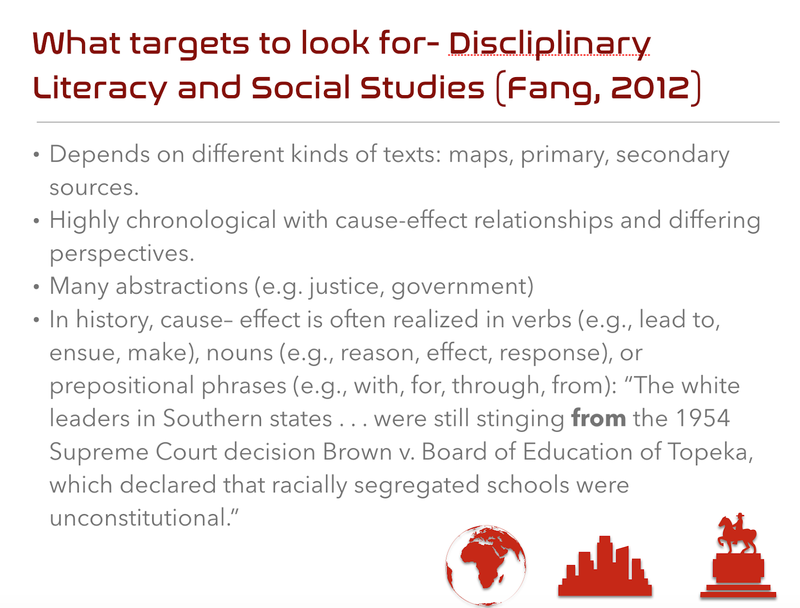 I have previously written about our potential role in promoting study skills through a) targeting connections and categories b) promoting use of metalinguistic "tricks and b) motivating our students' participation as at some point, tests and grades matter to them. Duolingo's Tinycards- Fun Flashcards is another nice (100% Free) app for SLPs to look at because it provides access to appealing interactive flashcards. These let you move through a category by responding in different ways e.g. 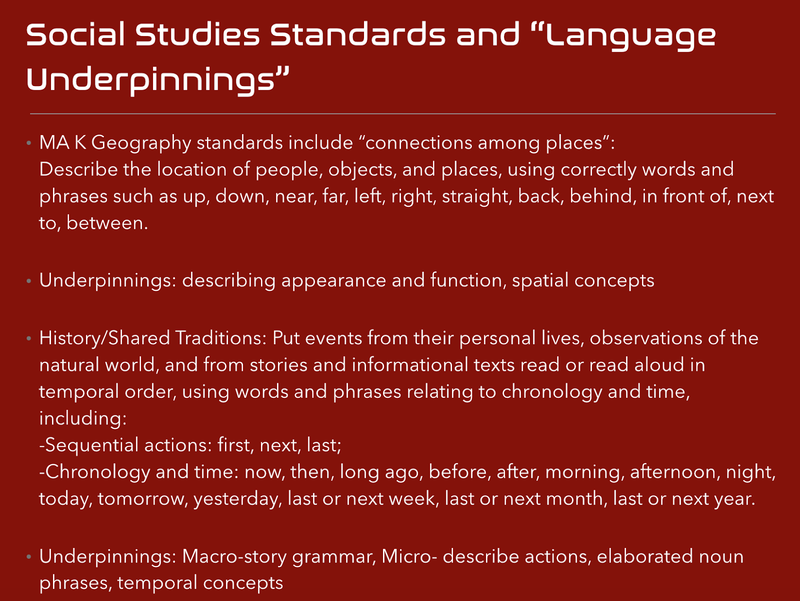 identifying via typing, describing, multiple choice to promote different connections within the category. For SLP students also, there are quite a number of anatomy categories available. Note: you can also make your own cards! Lookup: An elegant dictionary ($2.99) would be a useful app for MS and HS clinicians to have in their library. The app contains cool, attractively designed posters that illustrate the meaning (more precisely, often a semantic association) to a word. The array of posters is not yet of true dictionary breadth, but the ones contained within would provide a great inspiration for students to make their own posters. Consider doing so with construction paper, or with Pic Collage or Google Drawings. The Expanding Expression Tool and Beck/McKeown/Kucan's contextual vocabulary strategies would be good methodologies to employ alongside the use of this app. -started a new drawing, go to docs.google.com/drawings, Google "Google Drawings" or from your Drive click New, then More, then Google Drawing. -used Tools>Explore and looked up an image of "dollar"- dragged it in, selected it and copied/pasted a number of times, rotating and resizing. 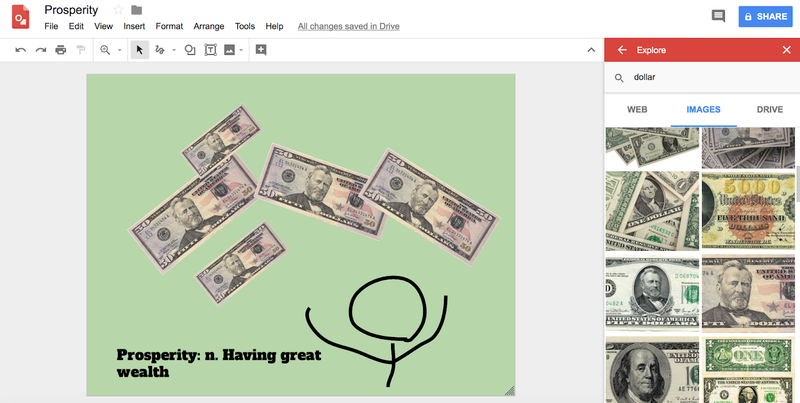 Here's a complete tutorial on using Google Drawings, a tool with many uses, particularly in Chromebook environments. Creating visuals with Google tools has the advantage of creating collaborative and sharing opportunities between students and possibly making collections for studying. You'll find that the above features (web search, doodle, backgrounds, text) are also available in Pic Collage EDU. Breathing is an important tool that SLPs can employ in a variety of client populations. For our students with self-regulation difficulties, having tools they can use anywhere without disruption of the current situation they are in can be very important (see Zones). For us, too-- our jobs can be stressful, whether it is a difficult treatment situation, a contentious IEP meeting, or just going back to work after the summer (I AM STILL NOT REALLY READY)...we need tools. I've always found any kind of mindful breathing to be useful, but this summer I stumbled upon a link from VICE News that led to some interesting science. One study sited here documents the effects of "coherent breathing" at a rate that balances the sympathetic and parasympathetic nervous systems, leading to increased calm for people with varied conditions: "In subjects with MDD (major depressive disorder) treated with resonant breathing (coherent breathing with pursed lips resistive exhalation) at 4.5–6.5 breaths per minute (bpm), HRV (heart rate variability) increased and mood improved." Part of the technique is that one should avoid counting, say to 6, as that engages the sympathetic side too much. I was easily able to find an app that therefore provided other cues so that breaths could be timed to correspond with the BPM guideline: The Breathing App (free for iOS). I have used this as a warm up for groups and also frequently for myself. The app provides different modes: in one, a ball enlarges as a visual for inhalation timing, and decreases in size for exhalation. I have found especially useful another mode which uses audio tones of different notes to time the same--great to use in the car when feeling just a tad anxious on the way to some work task. Check it out and try the technique! -visualization: for comprehension it is helpful to visualize the spoken description of the item, perhaps you can even sketch it. -world knowledge and perspective taking: students should develop a sense of what items cost. You can place this idea into narratives about asking parents for items, and the perspective taking aspects involved. In my last post I discussed how sometimes a tip from a student about what might engage him or a group may lead to a great activity. 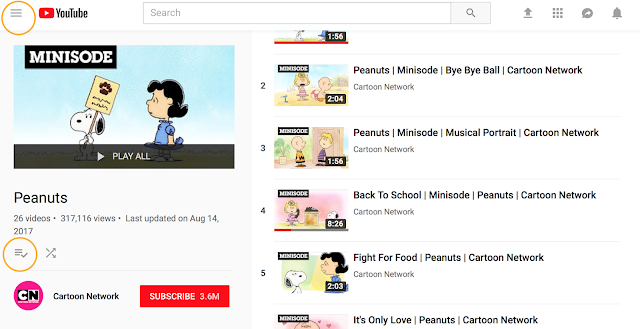 Another example came from a student who offhandedly mentioned that he likes to watch EvanTube, which he said had fun "how-to" videos. I checked it out, and EvanTube is a "family-friendly" channel full of challenge videos, among other things. I discovered a number of them could be done with minimal or simple materials, and thought that the process of figuring out what is needed, the sequence and overall plan would be a good language, social and executive function activity. The two activities I did with my group turned out to be some of the most fun ones I had this year. 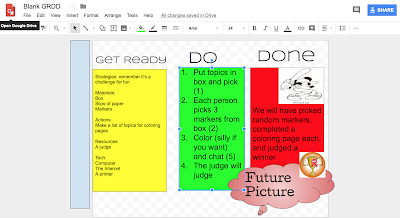 You can access this Google Drawings file here and if you like, make a copy for yourself (File>Make a Copy if signed into Google Drive) to use as a template. It was a very fun activity and we practiced a lot of different skills. Great again for goals of executive function, social, and humor but also phonology and just listening! Similarly, we did a GRDD activity- I try not to gather materials for students but ask them to do it, and this included finding an app to do the task. You'll find a free one easily! The results were hilarious and all had a great time again practicing some important skills. I use YouTube videos in social cognition groups for many purposes, and they often prompt clients to ask, "Can we watch...?" My rule is I have to watch it first so, "Not today, but maybe next time." Sometimes this leads to really engaging, fun contexts and lessons. For example, I learned about Doge. Doge is a meme, basically, and series of silly animations often showing the inner monologue of a dog. My student asked about Call of Doge which was filled with explosions, so, uh, no. But then (showing flexibility in his response) he said, "Well OK...maybe watch Doge Adventure?" This turned out to be a silly music video BUT connected to the idea that different settings and events lead to different thoughts (narrative landscape of consciousness, anyone), so led to a good discussion and post activity drawing comics with thought balloons. It also paired well with the mindfulness-oriented picture book Puppy Mind, which my students probably wouldn't have bought my reading them without this video segue. I always like a balance of materials so I read the actual book. Another tip and lesson next time! 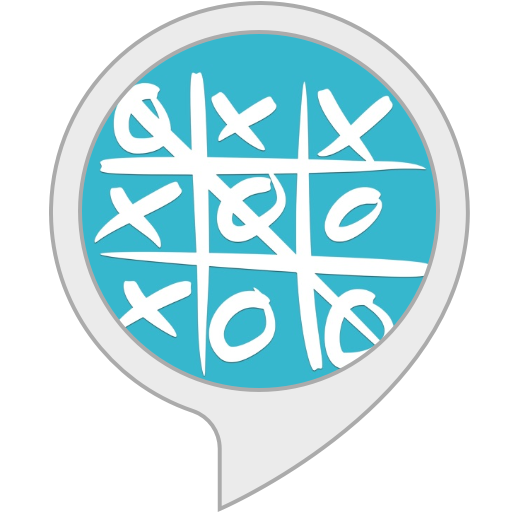 Tic Tac Toe is a "skill" you can enable on the inexpensive Echo Dot just by asking Alexa to play it. 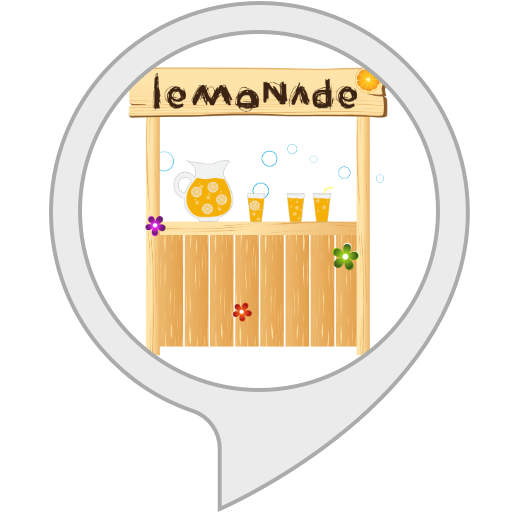 Since we interact with Alexa only by speaking and listening, it will be important to make a visual sketch while playing the game. You and Alexa just pick positions (top left, top, top right, left, center, right) and so on, therefore providing a context to target: turn taking, concepts, listening skills, "thinking with the eyes," and self-regulation. As my group has been exploring a Star Wars theme, we sketched asteroids and stars instead of X's and O's. This game is also a good place for you to implement a gradual release of responsibility: I do it (I made the markers in the sketch), we do it (we'll all take turns making the markers). ARrrrrgh is a free app that lets you perform augmented reality treasure hunts, and is lots of fun (and meets the FIVES criteria). 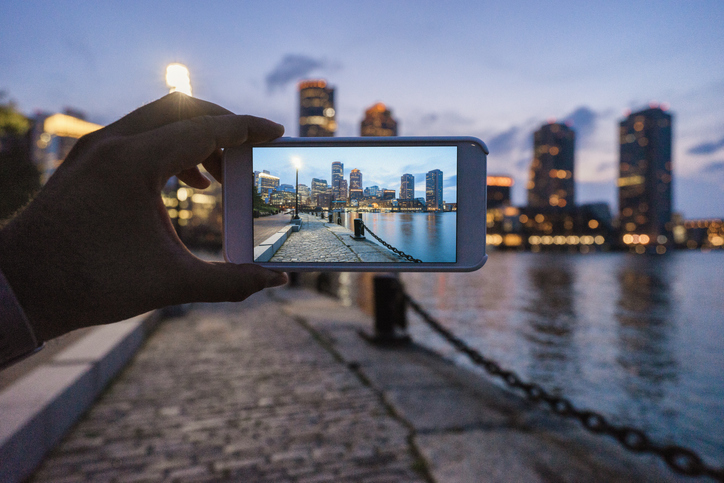 The title of the app is a play on both pirate-speak and AR, augmented reality, the technology that allows us to display digital information over the real world. Sounds complicated, but this app is very simple. One student goes into a space to hide a virtual treasure chest in the floor (in an open area, the camera is activated and can detect walls, furniture etc). The controls are very simple. The student is then prompted to hand over the iPad and the seeker(s) are given a visual guiding them toward an X that marks the spot. When they successfully navigate to that area of the room and dig, a "treasure" is revealed. I am happy to be helping to organize the EdCampAccess unconference again this year. Hope to see some of you there. Information is below! EdCampAccess, in the tradition of EdCamps that have taken place around the world, is an unconference devoted to K -12 educators who work with struggling learners. It is not limited to special educators, but anyone who wants to reach students who struggle with reading, writing, organization, behaviors, executive function skills, etc. An unconference is a "collaborative conference" where the attendees build and create the experience. As is the format for unconferences, we do not schedule formal sessions in advance; instead, we do so together as a group at the start of the day via a crowdsourced session board. Attendees may choose to facilitate a session, lead or participate in discussions or attend sessions of interest to further their professional learning. Some ideas likely to be discussed in sessions are already up on the EdCampAccess website, as is a link to free registration. Using Google Slides as a Visual Support and "Workbook"
With my older students, I appreciate the role of technology as a visual support. 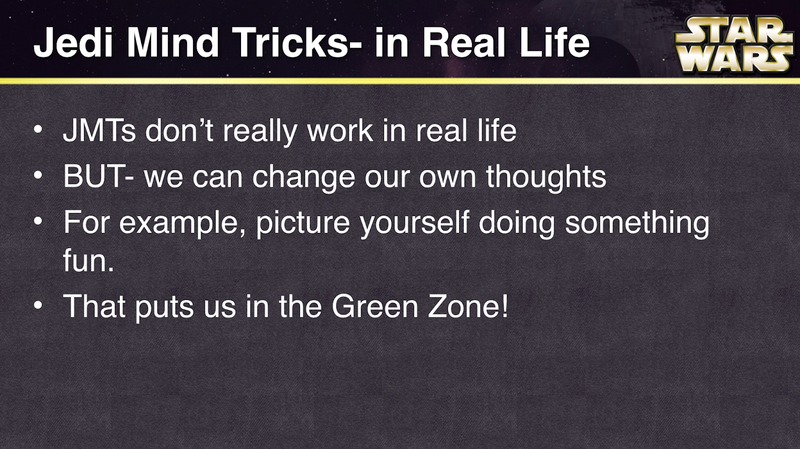 Having a screen involved-- not necessarily to be touching or interacting with-- can be engaging, regulating and motivating. I often say I am fascinated by how much my students will attend and converse with the topic when I am simply typing into a slide. We do have Apple TV present in our clinical rooms, which helps, but the same effect can be provided when connected to a projector or interactive whiteboard, or just with a laptop on the table (less ideal but it works). With one of my groups I am working on problem solving and self-regulation. Westby and Noel (2014) created a great acronym (BEST PLANS) for problem solving steps you can read about here. In an activity I incorporated this as well as Ward/Jacobsen's STOP strategy for situational awareness, and the 5 Point Scale. 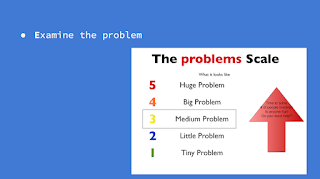 I was pleased with the group's engagement as I presented a made-up problem (similar to what they would face and probably struggle with at home), and the tools within Google Slides let me mark up the visuals (boxes, making stuff bold or underline, typing into shapes) as we came to some decisions. The link to this file is here and you can feel free to make a copy (File>Make a Copy) to your own Drive and change it up. SlidesCarnival is a free resource featuring many engaging-looking Google Slides templates you can use for this sort of work. I am excited to be a featured speaker at ArSHA in Tucson in a few weeks! Hope to see some of you there. 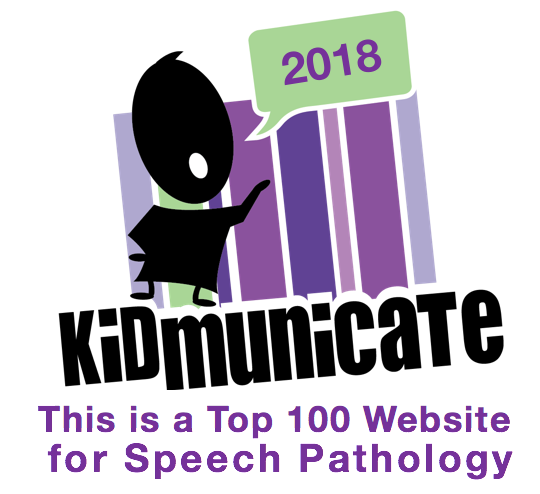 SpeechTechie was named one of the Top Speech Pathology Blogs of 2018 by the website Speech Pathology Master's Programs. Many great resources are listed there. You can read the interview I provided for the website here. 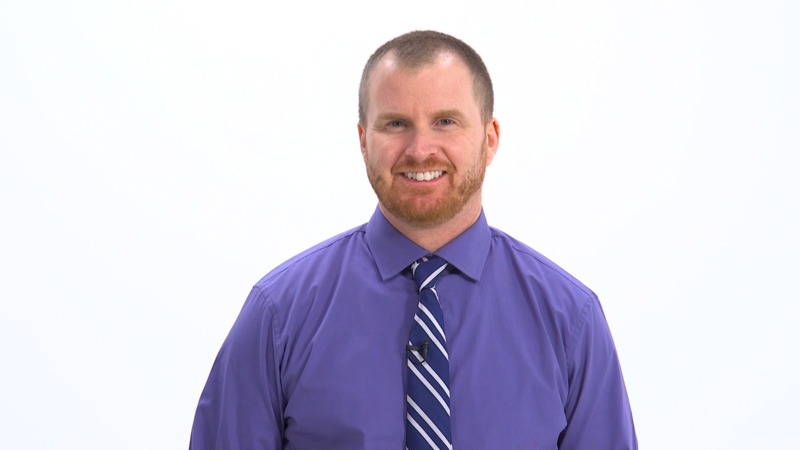 Lastly, three courses I created for MedBridge are now available! You can join MedBridge to obtain CEUs through great courses; see my affiliate link for a discounted rate. You can even see me in a tie! That is indeed a rare sight. Disclosure: Author receives a consultation fee for providing blog content to Mindwing Concepts. Author has also contracted with MedBridge to provide three courses and is part of their affiliate partner program. He will receive a royalty when his courses are available and are completed by members. Additionally, he receives a commission for each membership purchased through his affiliate link. As I have mentioned here and here, coding is a naturalistic language activity in which we can engage students to build a number of skills: following directions, collaborating with peers, and expository language. 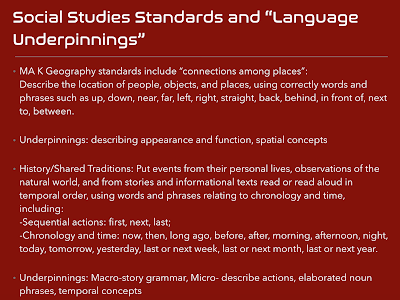 This can extend to using if/then sentence constructions or explaining how they constructed a program. 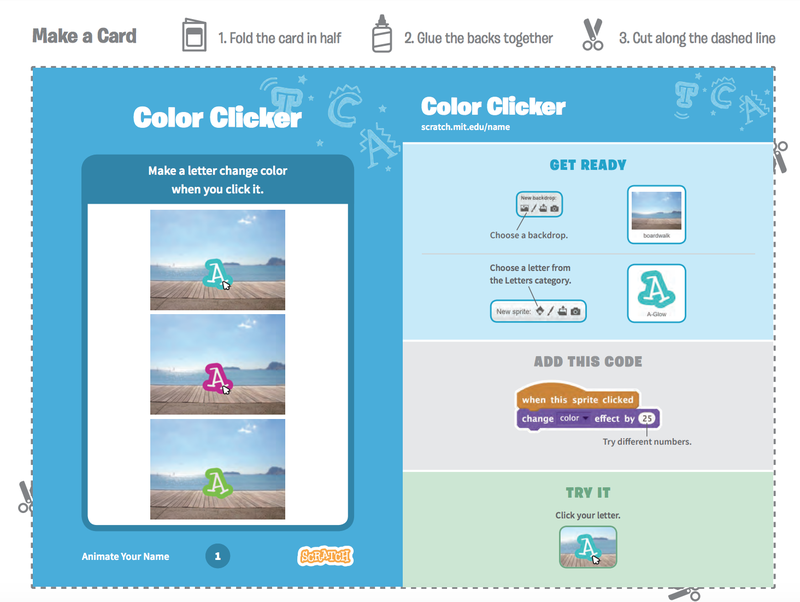 These activities need not take any programming expertise on your part, or extended amounts of activity time; simple, discrete activities can be conducted using the web-based (Flash in fact, so you'll need your laptop or a Chromebook) Scratch and their Getting Started page. Call it building "games" and your students will be hooked. To get started with Scratch, you'll want to sign up for a free account. 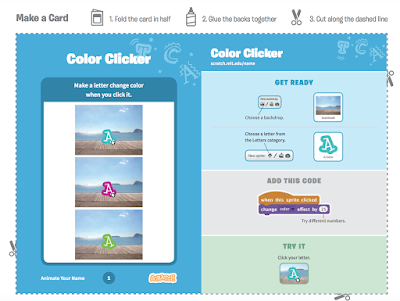 The Getting Started page has selected activities, but I would recommend downloading the entire set of "cards" and printing them on a color printer (you can also buy the whole set for $18.50)- the colors are helpful for students to find. You can also download the card set, send it to your iPad and have the visual be displayed from iBooks as the students use a laptop or Chromebook. -is an engaging way to provide visual support for social-cognitive, language organization and executive function methodologies and concepts. -can I say engaging again? My students love the opportunity to co-create journal pages and add to sketches or other visuals. -reminds me and students of what we talked about the last meeting, and results in kind of a cumulative toolkit. -results are sharable- screenshot any page or export or share the link to the whole book. Create story maps and problem solve (icons from Story Grammar Marker®) walking through the steps of making a goal and action plan. Expand students' thinking about situations and relationships (or non-relationships) with peers. In this case we were discussing patterns of behavior that the student should recognize and decide to avoid a peer. Create Comic Strip Conversations to provide visual support during a review of a situation. In this case we incorporated the Superflex 5-Step Power Plan in our discussion accompanying the visual. 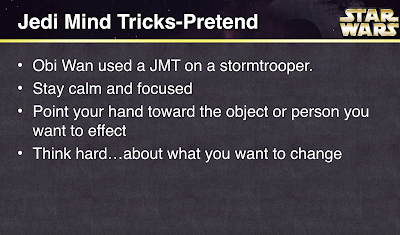 I'd love to hear if you are using Book Creator in this way, along with some of your "tricks!" I've long sung the praises of the Book Creator app. It's definitely the best way to create an e-book due to it's elegant simplicity, ability to add any kind of content (text, photos, drawings, audio, video) and share in both PDF and ePub format. In our work, creating books can be used for narrative and expository language development, social cognitive strategies, metacognitive language strategies, speech practice, repetitive line books to develop microstructure, and so much more. 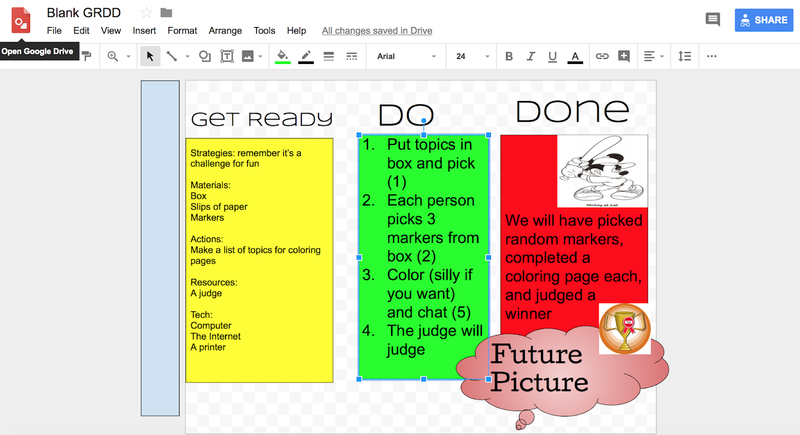 I recently had the opportunity to get to know Book Creator in Chrome (so, usable on Chromebooks or in any device running the Chrome browser (on iPad, still use the terrific app). It's a lovely port and works exactly the same as the app. One improvement, in the Chrome version you can search for images on Google, which is handy for quick co-creations with students. Sign up as a teacher and you can create 40 books for free (this account also allows you to delete books in your library). Learn about Book Creator here and sign up for your account here. If you are in a Google Apps (G-Suite) environment you can create books FOR your students and have them join your library (where they can read or create). In my next post I'll talk about one of my favorite recent uses of Book Creator. Check out this great resource giving 50 ways to use Book Creator. The app is free to download and provides you with two sports- skiing and bobsled. 14 in total can be unlocked with one in-app purchase of $2.99. To me, fair, given the below. 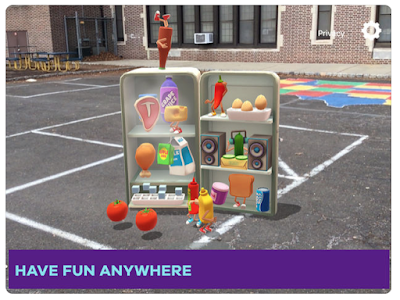 With games, you want interactivity to be within limits. Fiete Sports has a timed aspect but you can't time out, and no matter what, you get a medal. There is no way to stall or go off-course with any of the sports. Each sport shows you how to interact with the screen VERY SIMPLY (e.g. 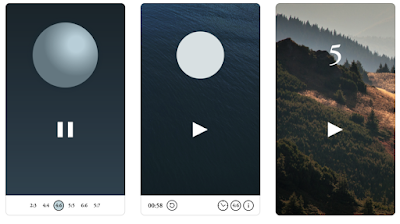 tap quickly, tap and drag) as the sport launches. The activities are very short, promoting the possibility of children in a group having many turns, or you can divide the play of one event among several students. Each sport gives you a visual sense of how it works- much of which would be new to young learners and build semantic knowledge. 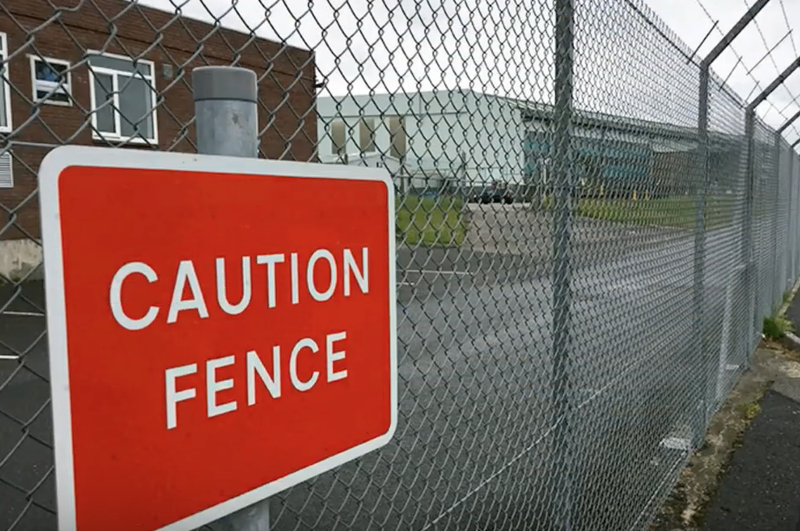 The visuals would promote verbal expression as students could be asked to describe how the event works, perhaps using a frame like Ward/Jacobsen's STOP- Space, Time, Objects, People. I found that using the app while mirroring to an Apple TV in my clinical setting kept all engaged with the visual, and commenting on the event. An app about the Olympics relates to current events, social studies and geography. Though the app provides limited verbal information about the events or Olympics in general, it provides a post-activity to reviewing picture books or other texts about the Olympics, focusing on vocabulary, figurative language (see my book collection at EPIC Books for Kids, the "Winter Olympic Sports" series has some nice slang), or look up the Olympics on Newsela. The app itself targets no clinical objectives- but the language you can elicit around it within your activities would elicit cause-effect statements of why the event went as it did, categorizations of sports (winter vs summer, individual vs. team, ones played on flat surfaces vs. hills), and any activities done around text as mentioned above. Pair with a YouTube video about sportsmanship and you can do some narrative language, observational and social cognitive work. As mentioned in my previous post, explore how to re-create events in "real life" play and target the group planning aspects of this!